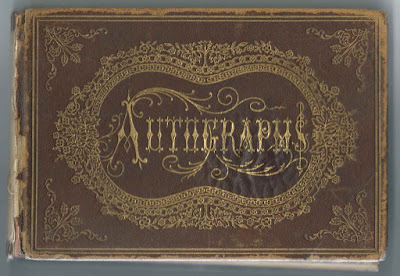 Autograph album given in 1873 to Miss Agnes Reilly by the girls of Lock Haven High School at Lock Haven, Pennsylvania. 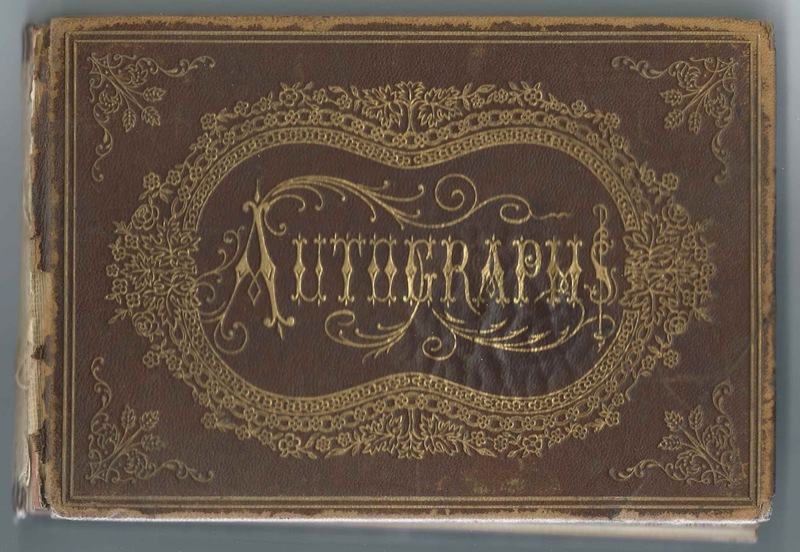 Most of the autographs were inscribed on December 25, 1873. 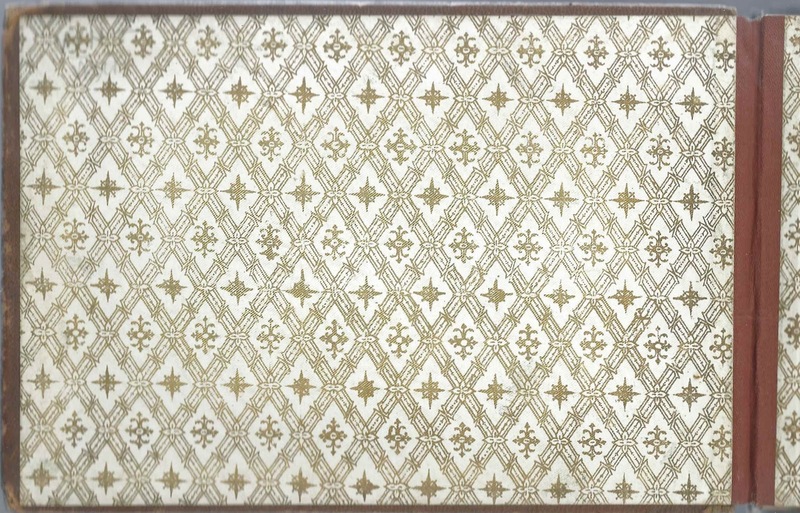 The last three in the album were inscribed in 1878 and 1883. 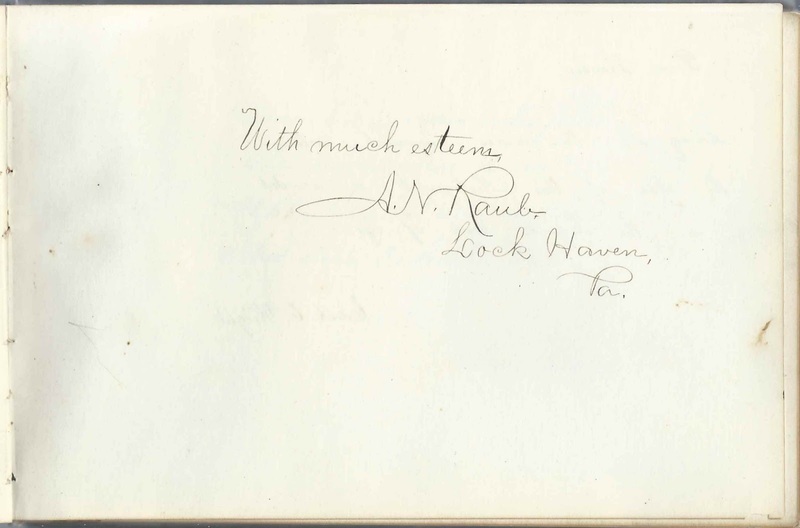 The album measures approximately 7-3/4" by 5" and contains the sentiments of 39 of Miss Reilly's students and friends. An alphabetical surname list and an alphabetical list of the inscribers, together with any personal information they offered, appear at the end of this post. 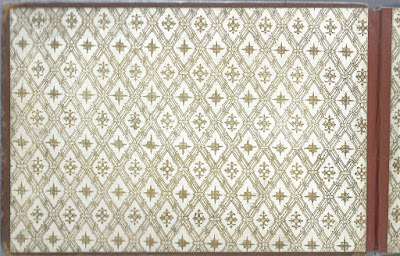 Agnes Reilly's Find-a-Grave listing gives her birth and death years as 1853 and 1916, with her mother Annie Reilly and sisters buried with her in the Highland Cemetery at Lock Haven, Pennsylvania. According to the section on Lock Haven in Report of the Superintendent of Public Instruction of the Commonwealth of Pennsylvania, for the Year Ending 1880, Agnes was a graduate of Lewisburg Seminary, connected to what is now Bucknell University. Her name and residence of Lock Haven, appear in a Bucknell publication as having been a member of the Class of 1861. An article in the June 8, 1950 issue of The Express of Lock Haven, Pennsylvania, mentions that Agnes was the first acting principal of the high school at Lock Haven; at the time it had 81 pupils. The article also mentions that Agnes was qualified as a teacher in 1874; she's included in an 1874 list of teachers receiving permanent certificates. The album implies that she had been teaching earlier, at least in the fall term of 1873, perhaps on a provisional certificate. Agnes became principal of Lock Haven High School in 1875 when the high school was changed to include both male and female students. There was at one time, and perhaps still is, a scholarship in her name. She also taught classes at Central State Normal School established at Lock Haven in the summer of 1874 by Professor Albert Newton Raub; the institution is now known as Lock Haven University. Professor Raub inscribed the page after the presentation page, in Agnes' album. Ella J. Lucas, "your loving pupil"
Tudie Walters, inscribed on December 25, 1873; not sure of nickname. Edith E. Wright, inscribed to "Dear Teacher"